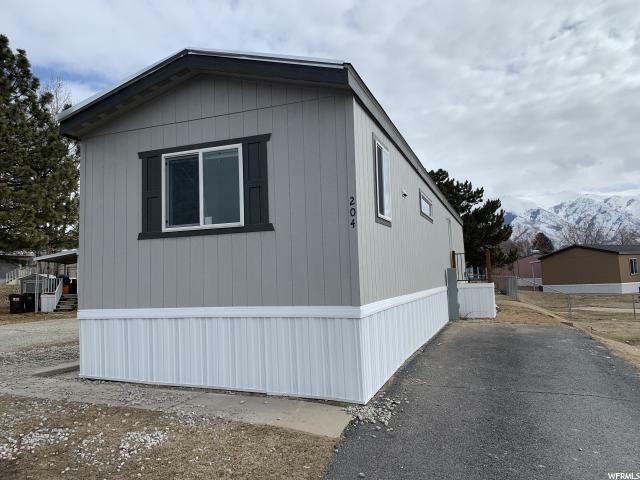 All ROLLING HILLS homes currently listed for sale in Ogden as of 04/20/2019 are shown below. You can change the search criteria at any time by pressing the 'Change Search' button below. "Step inside this completely renovated property and fall in love! Surround yourself with clean lines, modern design, and gorgeous open living areas. Located in one of the best neighborhoods with stunning 180 degree views in both front and back yards. The quiet and secluded Rolling Hills Park is directly in front of the home, which means no front yard neighbors and an easy access for friends and family gatherings. Once inside you'll enjoy a custom designed premium cable railing illuminated by a radiant Axis Chandelier sure to WOW anyone stepping through your front door. Black, white and grey rein supreme, while the backsplash and countertops mesmerize! 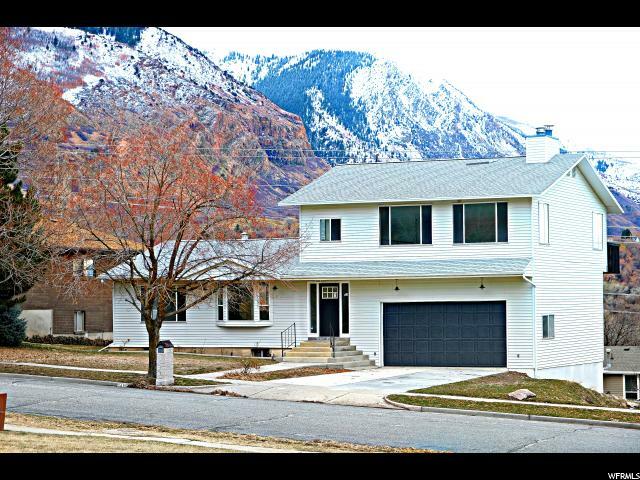 Walkout from your kitchen onto an expansive re-enforced deck with jaw-dropping views of the mountains and valley, or walk upstairs and enjoy an open living area with fireplace and large windows allowing stunning views of the beautiful Ogden Canyon mountains. The Master Bedroom is a dream come true, with it's own fireplace, balcony, expansive windows, huge walk-in shower, walk-in closet, and it also features it's own washer and dryer hookups! Going into the basement you'll descend down the spiral staircase into an open family room with walk-out access and a covered patio. The basement also has it's own washer and dryer hookups for easy laundry for the all 3 downstairs bedrooms. 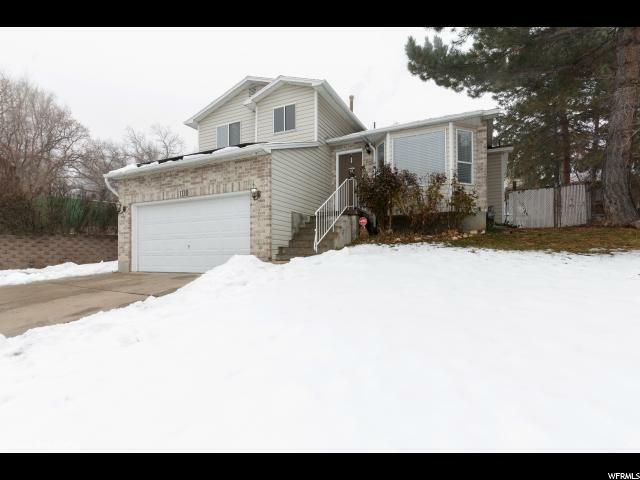 Other highlights include a brand new central A/C, brand new furnace, new electrical panel, new carpet, new paint, new floors, new tile, newer roof, re-built re-enforced deck, steel siding (the most durable siding on the market), new driveway, 2 fireplaces, and even a full bathroom on the main floor! This home has it all! And if this wasn't enough you'll jump for joy to see your expansive and oversized garage with a fully enclosed workshop with tons of storage potential in both the workshop and the secret under the house covey with outside access. 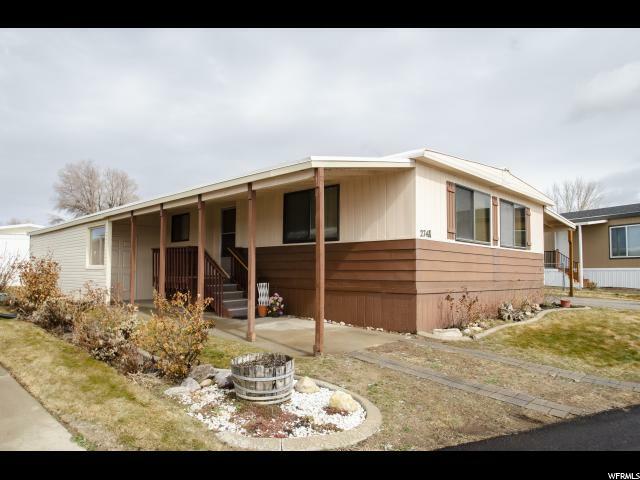 Close to Ogden Canyon, World Class Ski Resorts, hiking and biking trails, supermarkets, and more. Don'"
"***OPEN HOUSE 4/20/19 11:00 - 2:00 BEST HOME IN THIS PRICE POINT!!! *** PRICE REDUCED**TOTALLY NEW Gourmet Kitchen with Quartz countertops, and large island. ***50 year warranty roof with solar panels paid off at closing!!! *** New carpet with upgraded memory foam pad. New water proof laminate. New furnace. Water softener. New Patio and Fire Pit. Great location in excellent neighborhood and across the street from Rolling Hills Park. Less than 30 minutes to world class skiing at Snowbasin Ski Resort and even less time to Pineview reservoir. This is the home to be in, schedule your private showing today! Easy to show, please provide 1 hour notice. " "SPECIAL PRICE UNTIL END OF MAY! SAVINGS OF $12,660! 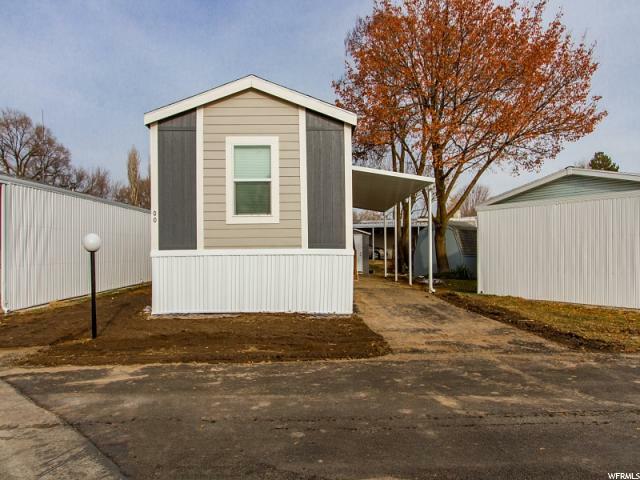 You've never seen a single wide manufactured home quite like this! 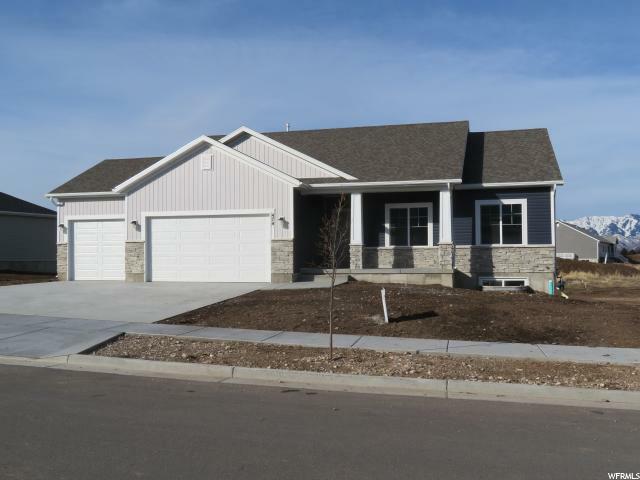 Brand new 3 bed, 2 bath home. Great layout and amazing master bed/bath with huge shower, double sinks and walk in closet. Located on Lakeview Dr with common area across the street. Close to Hill Air Force Base and easy access to I-15. Lot rent includes water, sewer, trash and use of CLUBHOUSE AND POOL! The monthly lot fee will be increasing by $86 starting in June. " "SPECIAL PRICE UNTIL END OF MAY! SAVINGS OF $11,235! Brand new 2019 Fleetwood Broadmore. Features an open layout, Crown Molding, large bathroom with linen closet, and comes with gas range, refrigerator, dishwasher, and storage shed. Close to Hill Air Force Base and easy access to I-15. Lot rent includes water, sewer, trash and use of CLUBHOUSE AND POOL! The monthly lot fee will be increasing by $86 starting in June. " "SPECIAL PRICE UNTIL END OF MAY! SAVINGS OF $9,735! Brand new 2018 Fleetwood Broadmore. Features an open layout, Crown Molding, Wainscoting, large bathroom with linen closet, and comes with electric range, refrigerator, and dishwasher. Close to Hill Air Force Base and easy access to I-15. Lot rent includes water, sewer, trash and use of CLUBHOUSE AND POOL! The monthly lot fee will be increasing by $86 starting in June. " "Spacious double wide in Rolling Hills. Close to base, shopping, etc. 3 bedrooms, 2 baths. Appliances stay. 2 decks, 1 patio, all are covered. Seller enclosed for spring and fall enjoyment. 2 storage sheds. Awesome southern views of mountains and valley. Park has clubhouse and pool. Buyers must be park approved prior to making an offer. There are a few pet restrictions. They are listed on the Application. "